This poster was created for RIT College of Liberal Art’s NTID’s preforming arts program. 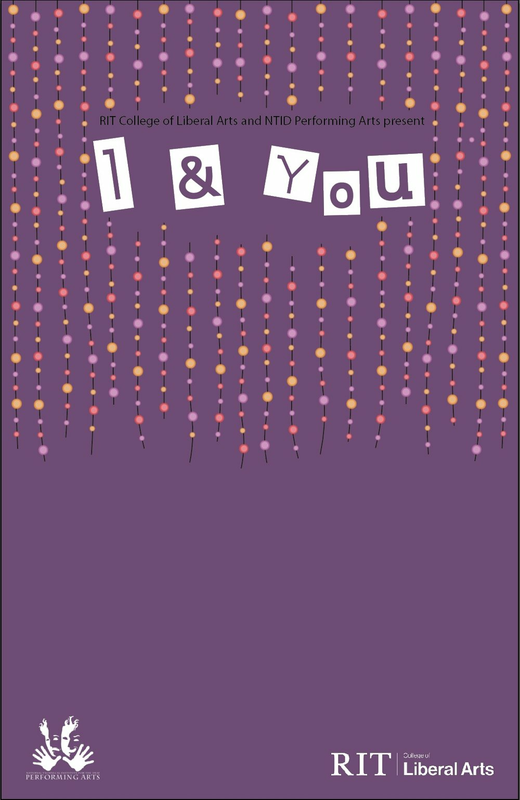 I and You is a play about a teenage love story with an unexpected twist. I chose to illustrate the dangling lights in the bedroom, where the play takes place. I made focus of the hierarchy of typography on this poster so that the message was clear.